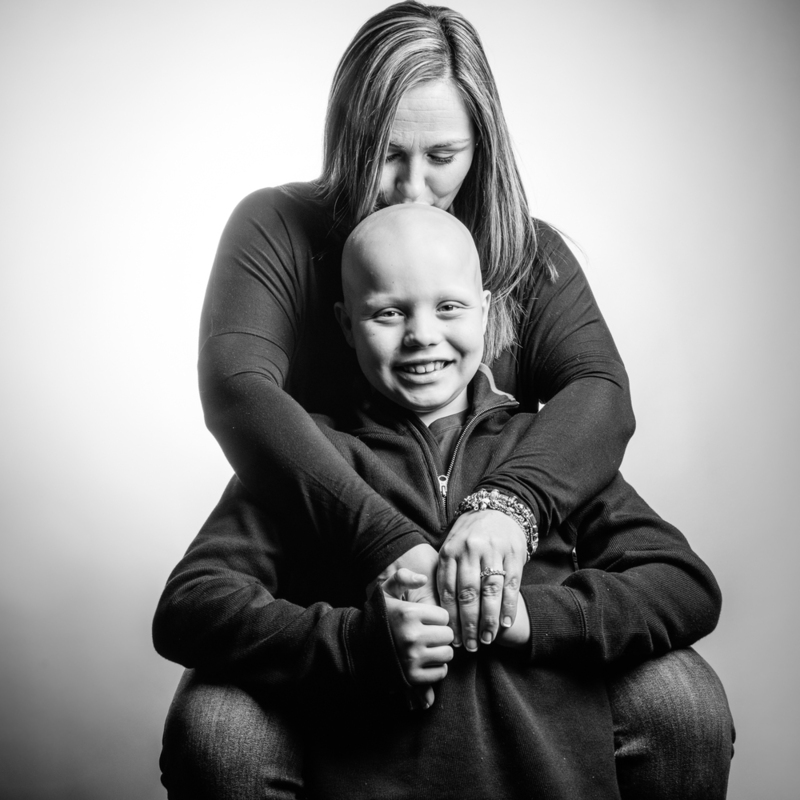 Cindy and Will's Story "Bald is Beautiful"
My son Will was 7-years-old when I noticed a bald patch on the back of his head. Will had always had immune disorders which made him get sick a little easier than most, but we made accommodations and had only dealt with breathing trouble previously. When we saw our pediatrician for the hair, we were told it was ringworm After about 30 days on antibiotics, and a return visit, we ended up seeing a dermatologist who diagnosed Will with Alopecia Areata. We've traveled from Springfield to Kansas City and to St. Louis to see dermatology, endocrinology, rheumatology, immunology and probably others I can't even recall. Will's spots became patches and his hair line finally crept up enough that we began cutting his hair differently and finally began shaving his head. Most recently his Alopecia has become universalis: a condition characterized by the complete loss of hair on the scalp and body. The Alopecia took away his eyebrows, eyelashes, and most of all, Will's self confidence and a little more of my heart. We try to teach Will that he is just the way God made him and that "bald is beautiful". Unfortunately, he's 9-years-old and only wants to look like his peers. Will has social anxiety and bites on his fingers and his skin until it bleeds. His teeth are brittle from his thyroid problem, so they chip from his nervous habit. We have tried creams, diets, supplements, natural remedies, and everything in between. So all we can do from here forward is encourage Will to love himself and be who he is. We know God has great plans for our little Will. When we go out in public, it's usually the adults who stare or come up to us directly to ask Will if he's completed treatment for cancer or what his struggle is. We are really good at interjecting and letting people know he's healthy fairly quick. We regularly have meals paid for, cash offered and many other kind gestures from complete strangers. We now allow Will to accept money and let him spend it on whatever he wants to! It's far less embarrassing for the people who give to him and we know their hearts are in the right place. I just want people to know to please treat my son, or anyone else with no hair, the same as you would another person with hair. Please encourage your children to invite Will or others with the same condition, to birthday parties and on play dates. Send him or her a candy-gram at Christmas and make sure he's not chosen last in games. Alopecia isn't contagious. Children can be cruel, just because you don't hear them, doesn't mean they aren't being unkind. I wish parents would explain what Alopecia is to their children. Sometimes kids just need to know. Alopecia is an autoimmune disease which doesn't allow hair to grow. That's it! Will wants everyone to know he doesn't have cancer! He's healthy except for a little asthma and slightly sluggish thyroid. Will is going to grow up and be a successful, strong, and compassionate man. We believe it him so much! Overall, our lives are blessed. Will is a vivacious, energetic and kind hearted little guy. He has an old soul and is the heart of our family. He's the baby, with an older brother and sister and he is loved. Will enjoys riding his dirt bike and watching WWE wrestling. His exceptionality also comes out in his love of fitness and workouts. Every day Will works out and tries to be the most fit for his age. We are excited to be attending Alopeciapalooza 2016 in Las Vegas this July. We hope this will be an opportunity for Will to meet other kids who deal with the same things he does. My advice to another parent or child facing an odd diagnosis such as Alopecia is to educate, love yourself and speak up. We have left "no stone unturned" to make sure we weren't missing something larger. It's always okay to get a second, third or even fourth opinion! You are the expert at your own and your child's health. The silver lining in all of this is that our family has grown closer, loved more, and become more aware of where beauty really come from. Throughout our journey we have grown to appreciate being healthy and know that there are many others a lot worse off than us. We have gained a whole new perspective on physical appearance. I find that we are grateful for the emotional support, and friendships we have made and continue to make. I really hope another kid or parent reads my story and realizes they aren't alone and sometimes it helps to hear about other struggles. Through each of our journeys we can lift, inspire and help others - that's a silver lining too. Sharing our story has helped in so many ways! Not only by raising awareness about alopecia, but also allowing Will to feel special. For mom, there was healing in explaining our journey. Will is excited to be starting a new school in the fall for 5th grade. We are leaving to attend our 2nd Alopeciapalooza in Namples Maine in a couple weeks! We are enjoying our journey and embracing each step, that's the silver lining.